Classy Lady's Shoe. This shoe is suitable for both formal and casual and Formal outings. Indulge yourself and pay your wardrobe huge style compliments with this fabulous pair of elegant heel sandals. 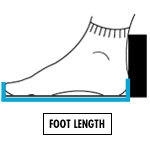 Please you may order for a size a step bigger than your size due to measurement variations. - Classic- Comfortable - Modern- Elegant -The solid heels enable easy traction.